Find a curated list of 20 most popular and best premium WordPress themes, which you can use on different type of WordPress websites and blogs. There are thousands of free themes available for WordPress. There are some problem with free themes, Free theme developers do not offer advanced features, quick updates and support. 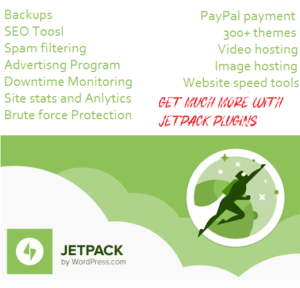 Premium WordPress Themes offer advanced features, quick updates, security fixes and support. In this article, I am going to list some of the most popular and best premium WordPress themes. Avada is most popular and best selling WordPress theme of all time. 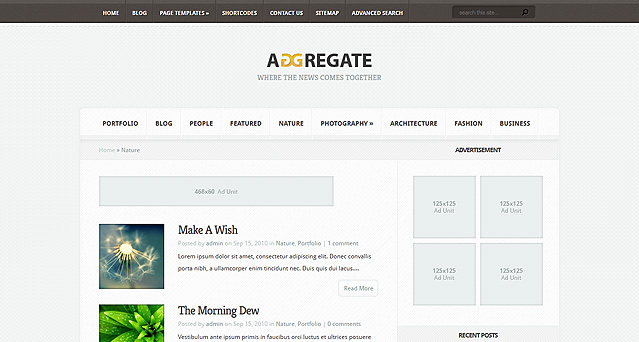 At the time of writing this article, Avada has more than 270,143+ sales at ThemeForest Marketplace. Avada is a multi-purpose Premium WordPress Theme. 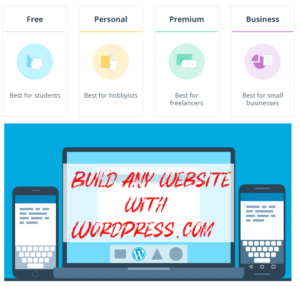 It makes it very easy to create different type of websites and blogs with WordPress. This is not just a simple theme, Professional WordPress developers are using this theme to create powerful websites for clients. With 129,576+ Sales at ThemeForest X is the second most popular Best Premium WordPress themes of all time. Over 20 Free Extensions (plugins) created by Themeco and 3rd parties to work seamlessly with X Theme. You can download and automatically updated all the extension with each verified purchase. Divi is one of the most popular and best selling Premium WordPress Theme from Elegant Themes. It has drag and drop page builder to easily create pages. 30 divi modules to add more features to your Divi based websites, pre-made layouts with import and export feature and more. As the name suggest, JustFit is a premium WordPress Theme for fitness and exercise websites and blogs. Whether you want to create a fitness community website,or you are a personal trainer or a blogger who loves to write about fitness and health, JustFit has the features to help you build SEO friendly websites. This is a very powerful theme for bloggers and writer with inbuilt Review system. You can choose from over 600+ google web fonts. It is responsive and mobile friendly theme, you can use this with the latest version of WordPress. It is translation ready theme, it means you can use this theme to publish great content in your own language. MagXP is the ultimate Magazine style premium WordPress Theme with integrated review system. This is easy to use and highly customizable theme with drag and drop homepage section. It supports unlimited sidebar and has two different single post layouts. You can use this theme on unlimited websites. Builders is a premium theme from MyThemeShop, with 12 ready made pages. You can also download all the PSD files for this theme. It is fully WooCommerce compatible theme, It means you can also use theme at your online store. This powerful theme is designed specifically for the construction industry. Whether you sell tools or services, you will be able to attract more customers with a stunning site design and smart layout. This is a magazine style WordPress blog theme and offers custom widgets and content modules that give you full control over your page. If you really want to make money blogging, you need a theme with ad integration. Nexus comes with multiple ad-ready areas, You can manage these areas via theme options page. Vertex is a stunning Premium WordPress theme for service providers that want to showcase their equally stunning products. You will have full control over the design of your website with Theme options panel.You can also design beautiful posts with the large collection of shortcodes. StyleShop is a beautiful eCommerce WordPress theme from ElegantThemes. If you have an online store or want to sell your products online, this is a great mobile friendly theme. Explorable is a location-based premium WordPress theme that pins your posts on a map. Listings become part of a journey, and exploring your website has never been so fun. With this powerful theme you will be able to create location-based listings. If you are building travel blogs, local business directories, travel guides than this should be your first choice. it also has a user star ratings system, a full-fledged blog section and a fully responsive design. Do you love to publish list posts and collection articles, Aggregates has tons features for content and widget-ready areas. You can display all your content (collections, list articles etc) in a clear and readable manner. Widgets for Advertisement areas makes it easy to sell ads on your website. List and collection articles are one of the most popular content format on the web and this theme lets you create beautiful websites and blog with aggregated content. Origin is a stunning and beautiful grid-based premium WordPress theme that tells a story through imagery. The powerful photography WordPress theme lets you create a truly engaging experience by saturating the screen with your beautiful photos and images. The theme is also optimized for small screen devices, meaning it will look and work great on mobile devices as well. If you are an artist and want to create websites for artists to showcase their latest work, or if you are a blogger looking to give your visitors a fun new way to browse your latest posts, then Origin is great choice for you! 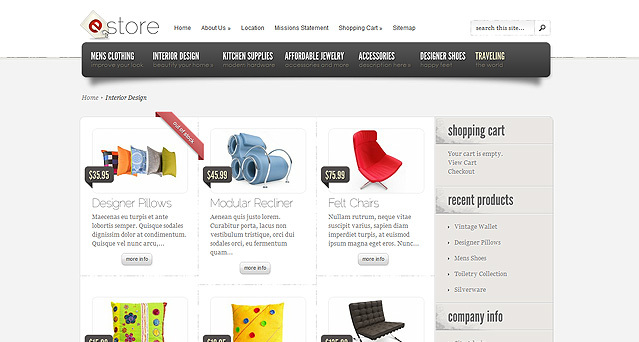 eStore is an eCommerce WordPress Theme from ElegantThemes. Getting started with this theme is very simple and easy and you can use this theme with free eCommerce plugin including eShop and Simple PayPal Shopping cart. Also, due to the open-ended nature of the design, adding support for additional shopping carts won’t cause a headache. Materialism is a premium Responsive & Multi-Purpose One-Page WordPress theme. Material Design language was introduced by Google. This one page responsive theme can be very useful to promote your products or applications in a beautiful way. Materialism has two different homepage layouts, Parallax Scrolling + HTML5 Video support, Fully Functional Subscription Form to grow your email list, Pricing Tables, Google Web Fonts and more. 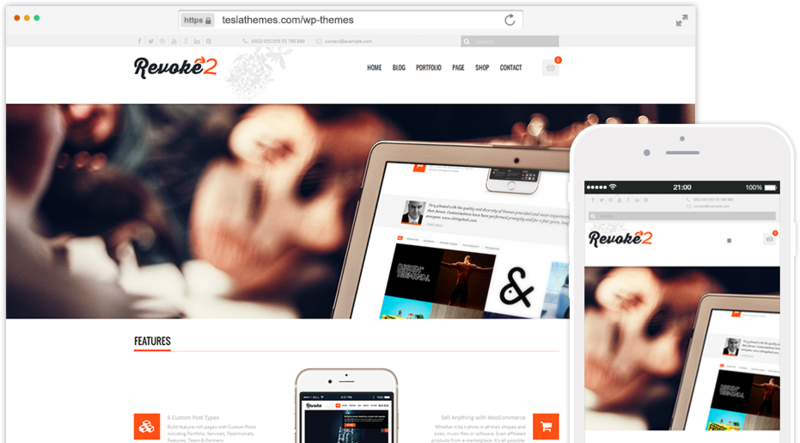 Revoke is the one of TeslaTheme’s most popular and most sold multi-purpose WordPress themes. Revoke has 3 customizable sidebar widget ready areas, WooCommerce ready theme, You will also have access to Slider Revolution plugin worth $18. Design Portfolio is a Premium WordPress Theme with clean, modern layout and powerful customization features for Photography website, creative agency, portfolio, gallery, blog. You can customize this theme easy to use options panel. You can also enable full-width slider with different effects, filterable portfolio with many columns, built-in short-codes. You can also integrate your social media accounts including Twitter, Facebook, Google+. Zoomy is a multi-purpose and Retina Ready theme, which makes sure that your readers will see sharp and detailed images on your site, when browsing from your iPad, iPhone or iMac. It has different features including Filterable Portfolio, shortcodes, social media support, AJAX Contact Form, Google Maps and more. This is a premium WordPress theme with clean and modern design built for law firms, attorneys, lawyers, accountants and many more related fields. Defender is also packed with plenty of advanced features specially created for the needs of attorney/lawyer websites. These are some of the most popular and best premium WordPress themes from premium developers. 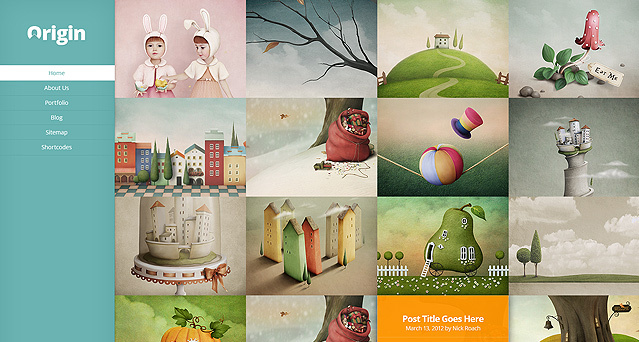 We have also published an article about 17 Market Places to Buy Premium Themes. You can read what they offer and their pricing plans. Thanks for sharing such a huge list of best premium WordPress themes for 2017. I found this list very informative, unique and genuine as well.